NOTE: When fitted to a Brompton, rear tyre will scratch underside of the main frame when fully folded. Some form of frame protection tape will be necessary to prevent paint damage. Excellent grip, big improvement on ice and mud. No problems with punctures after around 100km. Fit a Brompton ok. Need 40km on tarmac to wear in. Downside: very noisy on tarmac, they crackle. 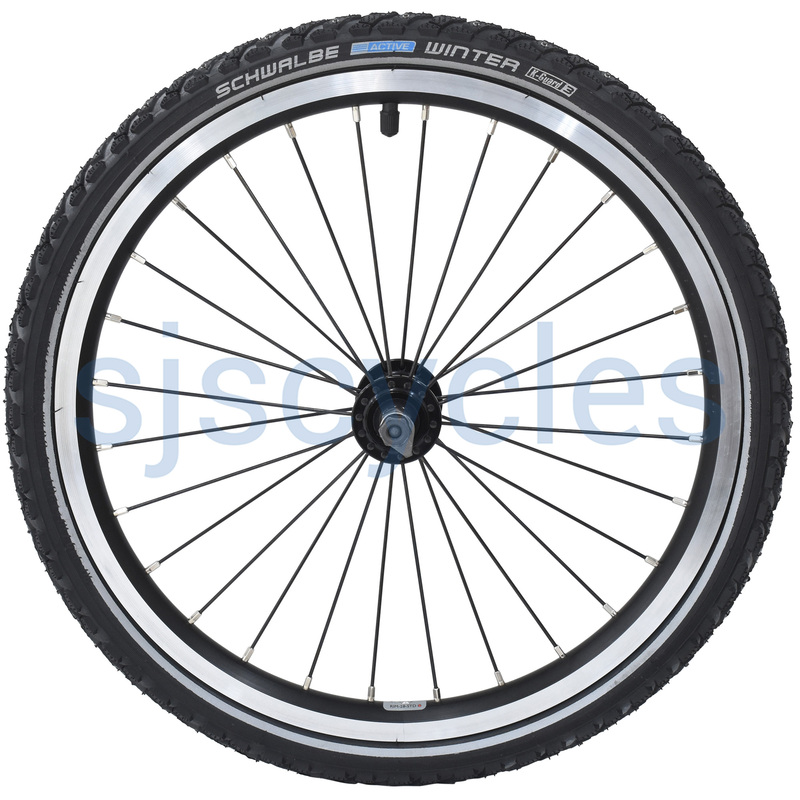 Can be left on all the time but with lots of rolling resistance you wont want to ride them unless conditions demand it. Version 16x1,2 very poor quality. After 300 km of usage spikes broke through the tire and punctured the inner tube. Additional puncture protection liners does not help. You could see the pictures on Russian brompton club. I'm a cycle journalist and also publisher of the book Brompton Bicycle which I believe you have stocked in the past. Editor of A to B magazine David Henshaw would like to run a review of these studded tyres that fit Bromptons. Would you be able to send a pair for review? You would need to buy them as usual I'm afraid.